Abhishek Sharma of New Delhi is a product of the prestigious National School of Drama, where he did his post-graduation education. He always wanted to become a writer and director. But with no godfather in the industry, Sharma didn't quite understand how things worked when he came to Mumbai, like so many others, to make a career in Bollywood. In a great stroke of luck, he ended up working with Manmohan Shetty of Fame Adlabs, and proceeded to learn everything about films -- pre-production, production, post-production and even marketing. 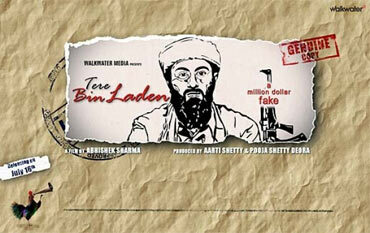 Now he is all set with his directorial debut, Tere Bin Laden. 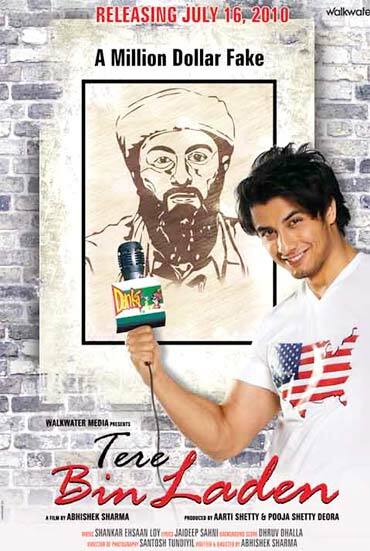 It's a satire on terrorism from Walkwater Productions, starring Pakistani pop star Ali Zafar. Nithya Ramani caught up with the debut director to learn more about the film. Have you always wanted to make a film like this? I wanted to be able to make a satire on a situation like this. It is important that we learn to laugh at our miseries. Making fun of our problems is nice. It makes us feel good. How the idea came about is as bizarre as the film itself. I had a severe headache one day and had tied a cloth around my head, which looked like a turban. I had a lot of facial hair then. Someone commented that I looked like Osama Bin Laden. 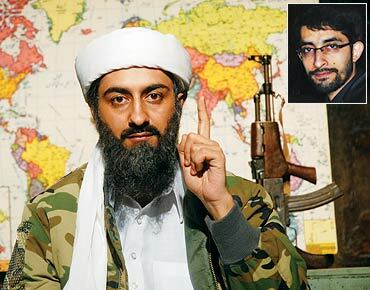 It then struck me to do a spoof on Bin Laden. I started writing the film in 2005, but was doing only the rough drafts. I pitched it to Pooja and Aarti Shetty (producers), and they liked it. We then started looking for the cast. Why did you decide on Ali Zafar? He isn't an actor. He is a pop singer, and hasn't been on the radar for a long time now. 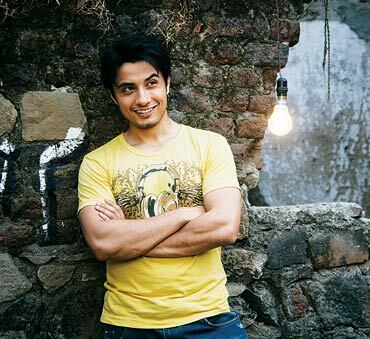 Ali started off as an actor in television soaps before he became a singer. Whenever I saw Ali's music videos, I always saw an actor in him. He had the quirkiness and the wit to be in my comedy film. How does it feel to be a director with your first film releasing soon? Great! I'm still numb by the fact that it's my first film. It was only during the mahurat shot that it sank into me, "I am a director." We shot the climax scene as the mahurat shot. It felt nice to shoot the end of the film with the first shot. Don't you think it is a risk to make your first film a spoof on an issue like the 9/11 tragedy? I think people want new concepts, not the same old boring Bollywood masala films. People have their own set of problems and want to see a fun film at the end of the day. New concepts and ideas are what they are looking for. They need something fresh. Do you think an out-of-the-box film like this will work? Out-of-the-box films have mostly worked. It is very important that a good film comes out for everyone's sake. The industry needs a hit and that will motivate newcomers like us. What is the film about? What is the story, apart from being a satire on the 9/11 attacks? The film is about a Pakistani journalist Ali Hassan, who wants to go to the US. Unfortunately, it is post-9/11 and he is not allowed. So he tries to do something that will make his entry into the US faster and easier. He meets a poultry farmer who looks like Osama Bin Laden and coaxes him to do a video for him, which he can use to go to the US. That's true. We all worked as a team, as cliched as it sounds. I am keeping my fingers crossed and hope the film does well, for all our sakes. The producers have put in so much faith in me that at least for them, I want this film to work. Are there any other films you have in hand? No. I can't think of anything else before this releases. This is just the beginning. I don't know how others are able to do this. I am more of a writer and have always been one. I mostly write comedy. Is Bollywood coming down with sequel fever?